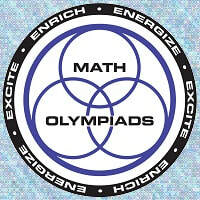 East School PTO is excited to offer a revamped version of our voluntary “Math Olympics” program! This is designed to be a fun, “extra-challenge” program that will enhance the development of your student’s problem solving skills. This program is run by volunteer parents/guardians working together with the school administration. You may think of this program as similar to a Math Club, with school and parent/guardian support. The problems and activities are not aligned with the Everyday Mathematics curriculum and teachers do not devote any class time to the Math Olympics activities or content. There are 5 sheets per pack for each grade. Students can download the pack for their grade level, complete the activities and then use the answer key provided to correct their own work. Students can work at their own pace and turn in the pack whenever they have completed and corrected the sheets. They should write their complete name and grade level at the top before dropping them in the Math Olympics bin in the main office. A parent volunteer will collect the sheets and keep track of each student's participation. We will recognize any student that has completed 90% of the packs at a future all school meeting. Students may only participate at their own grade level.